Southern Monkey Flower (Diplacus longiflorus) on bush with green leathery, shiny leaves. 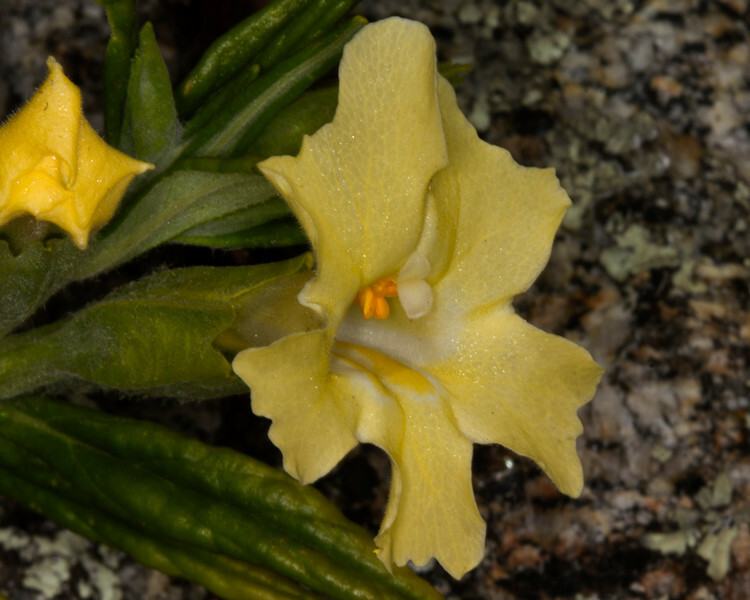 Prominent stigma and anthers are showing in the throat of this trumpet shaped flower near Silent Valley Resort in the San Jacinto Mountains of Southern California. March 5, 2012.